BONUS: This edition contains an excerpt from Diana Gabaldon's. From the author of the breathtaking bestsellers and, the extraordinary saga continues. Their passionate encounter happened long ago by whatever measurement Claire Randall took. Two decades before, she had traveled back in time and into the arms of a gallant eighteenth-­century Scot named Jamie Fraser. Then she returned to her own century to bear his child, believing him dead in the tragic battle of Culloden. Yet his memory has never lessened its hold on her... and her body still cries out for him in her dreams. Then Claire discovers that Jamie survived. Torn between returning to him and staying with their daughter in her own era, Claire must choose her destiny. And as time and space come full circle, she must find the courage to face the passion and pain awaiting her...­the deadly intrigues raging in a divided Scotland... and the daring voyage into the dark unknown that can reunite—or forever doom—her timeless love. In 1945, Claire Randall, a former combat nurse, is back from the war and reunited with her husband on a second honeymoon—when she innocently touches a boulder in one of the ancient stone circles that dot the British Isles. Suddenly she is a Sassenach—an "outlander"—in a Scotland torn by war and raiding border clans in the year of our Lord...­1743. Hurled back in time by forces she cannot understand, Claire's destiny in soon inextricably intertwined with Clan MacKenzie and the forbidden Castle Leoch. She is catapulted without warning into the intrigues of lairds and spies that may threaten her life ...­and shatter her heart. For here, . . . Cast ashore in the American colonies, the Frasers are faced with a bleak choice: return to a Scotland fallen into famine and poverty, or seize the risky chance of a new life in the New World - menaced by Claire's certain knowledge of the coming Revolution. Still, a Highlander is born to risk - and so is a time-­traveler. Their daughter, Brianna, is safe - they think - on the other side of a dangerous future; their lives are their own to venture as they will. With faith in themselves and in each other, they seek a new beginning among the exiled Scottish Highlanders of the Cape Fear, in the fertile river valleys of the Colony of North Carolina. Even in the New World, though, the Frasers find their hope of peace threatened from without and from within; by the British Crown and by Jamie's aunt, Jocasta MacKenzie, last of the MacKenzies of Leoch. A hunger for freedom drives Jamie to a Highlander's only true refuge: the mountains. And here at last, with no challenge to their peace - . . . The wait is nearly over—Claire and Jamie’s story continues in the next thrilling book in Diana Gabaldon’s multimillion bestselling Outlander series. Written in My Own Heart’s Blood follows Gabaldon’s characters through revolutionary Philadelphia and onto the battlefields, as Jamie makes a dramatic return to Claire’s side, a new army sweeps the city, and romance and violence brew. This enthralling adventure carries us through betrayal and redemption, death and danger, and through the perilous waves of a family’s loves and loyalties. In her much-­anticipated new novel, the bestselling author of the Outlander saga brings back one of her most compelling characters: Lord John Grey—soldier, gentleman, and no mean hand with a blade. Here Diana Gabaldon brilliantly weaves together the strands of Lord John’s secret and public lives—a shattering family mystery, a love affair with potentially disastrous consequences, and a war that stretches from the Old World to the New. . . . In 1758, in the heart of the Seven Years’ War, Britain fights by the side of Prussia in the Rhineland. For Lord John and his titled brother Hal, the battlefield will be a welcome respite from the torturous mystery that burns poisonously in their family’s history. Seventeen years earlier, Lord John’s late father, the Duke of Pardloe, was found dead, a pistol in his hand and accusations of his role as a Jacobite agent staining forever a family’s honor. Now unlaid ghosts from the past are stirring. Lord John’s brother has mysteriously received a . . . 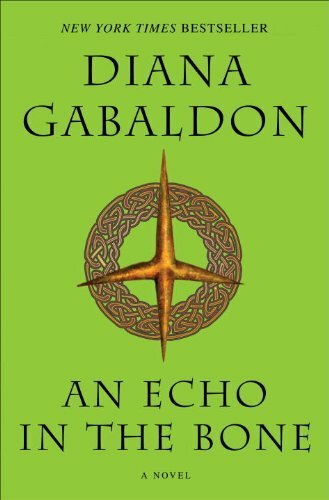 In this new epic of imagination, time travel, and adventure, Diana Gabaldon continues the riveting story begun in Outlander. Jamie Fraser is an eighteenth-­century Highlander, an ex-­Jacobite traitor, and a reluctant rebel in the American Revolution. His wife, Claire Randall Fraser, is a surgeon—from the twentieth century. What she knows of the future compels him to fight. What she doesn’t know may kill them both. With one foot in America and one foot in Scotland, Jamie and Claire’s adventure spans the Revolution, from sea battles to printshops, as their paths cross with historical figures from Benjamin Franklin to Benedict Arnold. Meanwhile, in the relative safety of the twentieth century, their daughter, Brianna, and her husband experience the unfolding drama of the Revolutionary War through Claire’s letters. But the letters can’t warn them of the threat that’s rising out of the past to overshadow their family. Diana Gabaldon’s sweeping Outlander saga reaches new heights in . . .
Diana Gabaldon's acclaimed Outlander series blends rich historical fiction with riveting adventure and a truly epic love story. Now, with this convenient seven-­volume eBook bundle, discover the novels that have won Gabaldon millions of fans and introduced readers to the brilliant Claire Randall and valiant Highlander Jamie Fraser. 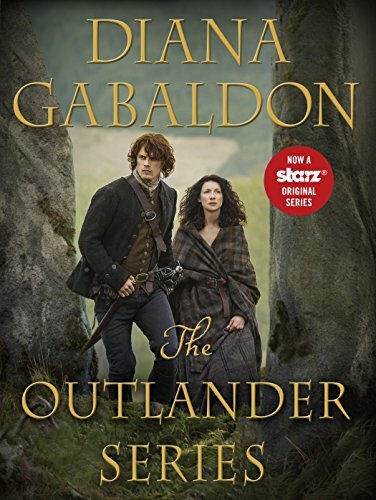 Adored bestselling author Diana Gabaldon brings us the first book in a new trilogy featuring many of the characters from her wildly popular Outlander series. In her bestselling Outlander novels, Diana Gabaldon introduced millions of readers to a dazzling world of history and adventure—a world of vibrant settings and utterly unforgettable characters. Now one of these characters, Major Lord John Grey, opens the door to his own part of this world—eighteenth-­century London, a seething anthill of nobility and rabble peopled by soldiers and spies, whores and dukes. Great Britain is battling France for supremacy on three continents—and life is good for a soldier. The year is 1757. On a clear morning in mid-­June, Lord John Grey emerges from London’s Beefsteak Club, his mind in turmoil. A nobleman and a high-­ranking officer in His Majesty’s Army, Grey has just witnessed something shocking. But his efforts to avoid a scandal that might destroy his family are interrupted by something still . . .